So, it's been a good night for both England and Wales. Be sure to join us tomorrow for Argentina v Brazil, Scotland v Georgia and Northern Ireland v Faroe Islands. We'll have live texts on all three. Earlier today, England Under-21s beat Croatia in their Euro 2015 qualifier first leg. West Brom striker Saido Berahino scored one and made the other, and U21s manager Gareth Southgate said the senior side's manager Roy Hodgson was chatting to the young striker in the dressing room after the game. Also referring to Spurs striker Harry Kane, Southgate added: "It is a really good moment for both of them. When you select the team you look at players in form and who can exploit that moment. "Both of them are a real threat. They get chances and you expect them to finish. That is the level we are at." this feature about Wrexham's 150th birthday yet? If not, why? It's got a picture of Mickey Thomas with long hair in it. Halcyon days. Richard: 30k in the stadium. 2 of our best players missing. J.Williams very, very good. Clean sheet against a World Cup team. All good. So what's next for Chris Coleman's Welsh wonders? A home game against Cyprus, that's what. Three points in that one and Gareth and the boys will really begin to believe. Wales. Top of the league. Netherlands avoided a shock defeat tonight, coming from 1-0 down to beat Kazakhstan 3-1 with Robin van Persie adding a late penalty. Giorgio Chiellini scored all three goals as Italy beat Azerbaijan 2-1. He opened the scoring for his side late in the first half, equalised in his own net in the 76th minute but won it six minutes later. Kevin De Bruyne and Dries Bruyne scored twice each as Belgium hammered tiny Andorra 6-0. Tal Ben Haim scored for Israel in their 2-1 win over Cyprus, while Blackburn's Josh King scored twice as Norway beat Malta 3-0. Croatia beat Bulgaria 1-0, Czech Republic won 2-1 in Turkey and Iceland hammered Latvia 3-0. Wales manager Chris Coleman, speaking to Sky Sports: "The performance pleased me more than the point. The crowd were incredible, the atmosphere reminded me of when I was a player and we took on teams at Cardiff Arms Park. We rode our luck a little, but so did they. The players were magnificent, I was so proud of them. Lads were throwing their heads in front of shots and we need to have that mentality. "Ashley Williams is one of the best defenders I've seen in Welsh football. Maybe when he attacks corners at the other end, he looks like he's defending them. But he came off that pitch and he had no more to give. It was a magnificent performance." Wales goalkeeper Wayne Hennessey, speaking to Sky Sports: "All the lads produced a great performance. We always knew that Bosnia are good team, they have great strengths but the lads did well." Wales captain Ashley Williams, speaking to Sky Sports: "It is a good point, it would have been nice to get all three but I think we have shown how much we have grown tonight. It was a battle. "I should have scored. We had a few chances, I had two and I am kicking myself about it. "If we can get seven points from our first three games, that would be a nice return." Christian Mescall: If Hennessey plays like that a few more times, Ramsey gets fit and Bale turns it on, France here we come! 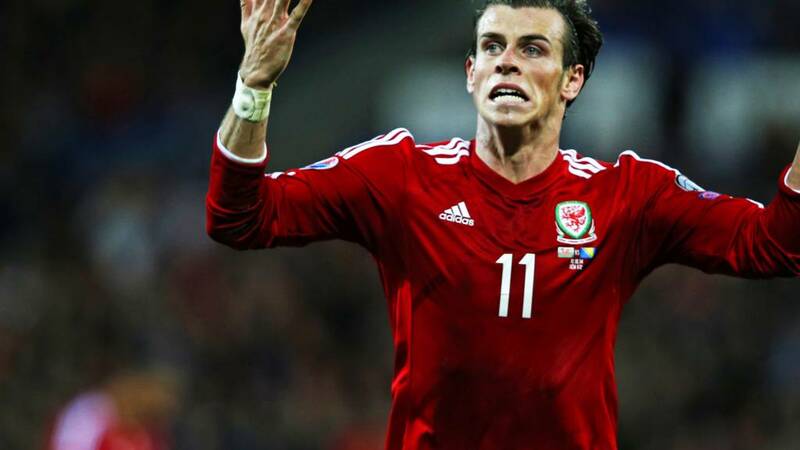 Daniel Lewis: After Bale there was a real lack of quality in the Wales team tonight. Qualifying will be tough but not impossible. However, Bosnia-Hercegovina did have their moments and Wayne Hennessey made a number of top saves. Is the Wales number one under-rated? He never fails to impress me. All told, that was a seriously impressive performance from Wales. Gareth Bale nearly nicked all three points with a world-class effort at the end, while Ashley Williams and Hal Robson-Kanu missed gilt-edged chances. Indeed it is all over, but what a rousing second-half performance from Wales. They really should have beaten the visitors, who are ranked 25th in the world. Gareth Bale picks up the ball in his own half. He's surrounded by five Bosnia players, then tries his luck from 25 yards with an angled, swerving shot which Asmir Begovic tips round the post. World-class from both men. The corner comes in and Hal Robson-Kanu heads wide from four yards out. The game's up now. Or is it? Four minutes of time added on. Wales need a hero. Hal Robson-Kanu from range... deflected over. The corner comes to nothing but Wales are still on the attack and Ashley Williams has an Incredible Hulk-style ripped shirt. We're building towards a crescendo. Gareth Bale is bundled over in the penalty area. Is it? No... Play on. Correct decision by the referee after looking at the replays. Some more chat on players who are head and shoulders above their team-mates. David: Can't not mention Aubameyang and Gabon. Dale, Heanor: Aldo Simoncini for San Marino, what a game he had last night! James, mid-Wales: How about some classics from the 90's, Romania's Hagi, Stoichkov of Bulgaria and Litmanen playing for Finland. Dan, Hitchin: Re: Louise: Weah or Best not the greatest George to carry their international team - surely it has to be Georgi Kinkladze who represented Georgia! Dan, you are ignoring the claims of Mikhail Kavelashvili, Murtaz Shelia and Kakhaber Tskhadadze? Changes for both sides. George Williams replaces Jonathan Williams for Wales while, for Bosnia, Izet Hajrovic is on for Vedad Ibisevic. Some Body: Tim Cahill, no question. Outscoring the likes of Messi, Ronaldo, Ribery combined in World Cups before Oz were eliminated. Two Bosnia defenders fail to notice an £85m footballer nipping between them and driving towards goal. Silly mistake really, as Gareth Bale is allowed a shot on goal which is straight at Asmir Begovic. Scott Cairns: Without a doubt Ronaldo for Portugal. Took them to the WC on his own and they faltered due to his injuries. Aidan Mifsud: Malta: Michael Mifsud. No other Maltese player would come close to scoring 2 goals against Man Utd. Buy that man a pint. Miralem Pjanic arrows a free-kick towards the top corner which Wayne Hennessey tips over the bar. The Wales keeper has been a certain 9/10 tonight. You've got to put those away, skip. Gareth Bale lands the ball almost perfectly onto the head of Ashley Williams who heads over the bar, unmarked from six yards out. Replays show the Wales captain was straining his neck backwards to reach the ball, but still... got to score. Klaas Jan Huntelaar has equalised for Netherlands against Kazakhstan. Giorgio Chiellini has put Italy 1-0 up Azerbaijan, while Croatia are beating Bulgaria 1-0 thanks to an own goal. Czech Republic lead Turkey 2-1, Belgium are 6-0 up against Andorra and Israel are 2-1 up in Cyprus. Norway are 3-0 up in Malta and Gylfi Sigurdsson puts Iceland ahead against Latvia. Players who are almost too good for their countries. Kit Beaupre: Aleksandr Hleb for Belarus was far better than any teammate at his prime. Ikechukwu Nlemadim: How can we forget Steven Fletcher of Scotland. Inspiration, stamina and drive. Ten times better than any other in that team. Mikhail AR Johnson: Balazs Dzsudzsak. Far better than the rest of the Hungarian attackers. James Chester is booked for a fierce tackle in the centre of the park, which ends with players from both sides clashing. Once order is restored, both Ashley Williams and Edin Dzeko join him in the book for the flashpoint. Miralem Pjanic curls a free-kick just wide. This game has had enough chances not to be 0-0 now. Former Wales defender Kevin Ratcliffe on BBC Radio Wales: "It looks like Gareth Bale has gone up front, Hal-Robson Kanu and Jonny Williams wide, with five at the back." Graham Jack: Ramsey and a few others closer to Bale than anyone in Swedish team is to Ibra. Wales striker Simon Church is brought off by Chris Coleman and replaced by winger Hal Robson-Kanu. Standby for some tactical reshuffles. "Bosnia have made a bright start to the second half, with Haris Medunjanin and Edin Dzeko forcing Wayne Hennessey into producing two excellent saves. "Wales seem to have weathered the storm, not that Bosnia's rowdy travelling support will quieten down as a result. "With a turbulent atmosphere and both teams living on the edge, this match is finely poised." Sublime for Gareth Bale, as he whips in a glorious ball from the right. It had pace, bend and menace but Simon Church can't quite get there as he strains every sinew to get the touch which would surely have put the hosts one up. James in North Wales: Neymar for Brazil is far superior than his team-mates, carried them through the World Cup until he got injured. His presence was sorely missed in the semi-final defeat. Louise: You mention George Weah in the past but George Best doesn't get a mention? Shocking! We're looking for players who are far ahead of their team-mates, like Gareth Bale. Good news for Wales, as Jonny Williams jogs his knock off on the touchline and appears fit to continue. Wales midfielder Jonny Williams looks in trouble after landing awkwardly, so much so that it looks like he might need to be replaced. Mensur Mujdza once again feels the full force of a Neil Taylor challenge. As a result, the Wales full-back is cautioned. Wales can't get out of their own half now - Haris Medunjanin hitting a low, dipping shot which is beaten clear by Wayne Hennessey. Former Wales defender Kevin Ratcliffe on BBC Radio Wales: "Bosnia-Hercegovina are getting a little too close for comfort. That left-hand side issue has not been rectified at half-time at all." Is there a player in the world who is as superior to his international team-mates as Gareth Bale? In the past George Weah for Liberia comes to mind but can anyone compare to Bale in the current day? Bosnia are really beginning to impose themselves now. Like a prizefighter, they kept their opponent at arm's length in the opening stages before upping the tempo in the championship rounds. They go close again when Edin Dzeko's back-header is turned around the post by Wayne Hennessey. Can they deliver a knockout blow? The game is beginning to open up and Edin Dzeko is given space to shoot from the edge of the area, but his low daisy-cutter is easy for Wayne Hennessey. Wayne Hennessey comes to Wales' rescue with a fine, point-blank save from Haris Medunjanin. Wales pour up the other end and Muhamed Besic makes a superb tackle to stop Gareth Bale in full flight. You're good, Gareth... but not that good. He steps up from 40 yards and smashes a free-kick over the bar. Worth a try, I suppose. A second set of 45 to break the deadlock. The shock is still on. Kazakhstan have survived to half-time without conceding an equaliser against the mighty Netherlands. They are 1-0 ahead after a goal from Rinat Abdulin, who later got booked for time-wasting. In the 33rd minute. No such concerns for Low Countries neighbours Belgium. The Red Devils are cruising against tiny Andorra, with a brace from ex-Chelsea man Kevin De Bruyne and Nacer Chadli giving them a healthy 3-0 lead. Italy break the deadlock against Azerbaijan seconds before half-time through Juventus defender Giorgio Chiellini, while Charlton defender Tal Ben Haim scores Israel's second goal in Cyprus. Former Wales defender Kevin Ratcliffe on BBC Radio Wales: "Gareth Bale is more-or-less being man marked, so I think it will be one of the midfielders if we are going to score tonight because the two away defenders are very close together. It is a very tight affair." "Despite the raucous atmosphere and chances at both ends, it remains goalless at the Cardiff City Stadium. "Gareth Bale has not been as influential as usual, primarily because he has been stalked by Everton's Muhamed Besic in midfield. "The Real Madrid star has still managed a couple of efforts on goal and, with Bosnia posing a threat in the form of captain Edin Dzeko and Roma playmaker Miralem Pjanic, 0-0 is probably a fair scoreline at the break." The number crunchers have Bosnia in charge of this one. Interesting. Former Wales defender Kevin Ratcliffe on BBC Radio Wales: "I think Chris Coleman will be relatively pleased with the way the lads have played, 70% of the time it has probably been how he would have wanted. Maybe they could have had a few more chances but they have to tighten up that left-hand side." So far, so good for Wales... but Bosnia are becoming more and more of a force. Bosnia are suddenly building a head of steam now - Vedad Ibisevic making a meal out of a trip in the area (no penalty), James Chester then making a crucial interception before Edin Dzeko is inches away from diverting a deep cross past the goalkeeper. Three scares in quick succession for the hosts. Michael Blighe: Devastated that Keano has got rid of the beard. Thought he was auditioning for a role in Bad Santa 2. There's a lull in play at the moment - Wales losing their direction and Bosnia happy to take the sting out of the occasion. Five minutes until half-time. Former Wales defender Kevin Ratcliffe on BBC Radio Wales: "Chris Gunter is having a field day, he is our best attacking player at the moment." Edward Herbert: Promising start. More of this please. Come on #Wales! Has Roy Keane been on '10 Years Younger'? See below. Football Association of Ireland: We can confirm #RIPtheBeard! Roy has decided to shave the night before our first home qualifier! How would you spend £100m on football? Rikki: I would buy a couple of Premier League seasons tickets, and a Freddo with the change. Malta 0 The Championship 2. That's because Norway have a two-goal advantage on the Mediterranean island courtesy of two players who ply their trade in the second tier of English football. Cardiff teenager Mats Moller Daehli put the Norwegians ahead before Blackburn Rovers forward Joshua King doubles their lead. Miralem Pjanic is cautioned for a foul on Jonny Williams, who is able to continue after some brief treatment. Bosnia are beginning to show their threat in the final third now and a corner is powerfully glanced towards goal by Vedad Ibisevic and Wayne Hennessey juggles with the ball briefly before it settles within his grasp. Chris (not a Gunter): Clearly Chris Gunter isn't effective in the final third as it's still 0-0. Gareth Bale has popped up on the wing, in midfield and up front in this game - this time almost being picked out on the penalty spot by Simon Church's cross. The Real Madrid superstar is like that lad in every school team who everyone is told to get the ball to, no matter where he finds himself on the pitch. Former Wales defender Kevin Ratcliffe on BBC Radio Wales: "I am a bit worried we are getting dragged about a bit down that [left-hand] side. Good sides will exploit that." suffer a surprise defeat against Slovakia - but tonight there could be an even bigger shock on the cards in Amsterdam. Boos echo around the stadium when Mensur Mujdza returns to his feet after making a bit of a meal out of Neil Taylor's excellent, firm but fair, tackle inside the Wales half. "A fired-up Wales team are growing in confidence at a packed Cardiff City Stadium, and it is no surprise that Gareth Bale is the man leading the charge. "The Real Madrid winger saw one audacious volley float over the bar, and saw a vicious inswinging free-kick blocked in the Bosnian six-yard box. "The rain continues to pour down and, with a travelling Bosnian contingent of 3,000 making themselves heard, there is a very lively atmosphere in Cardiff." Hugh Willoughby: Welcome back to Spurs, Gareth! Joseph Schiavone: I'd buy Cowdenbeath! Chris Gunter is better than Cafu. He is tonight, anyway. The Wales right-back gallops forward to get on the end of Neil Taylor's cross but dinks his effort over the bar. I didn't know Gunter was so effective in the final third. He'll soon be figuring in your plans to spend your imaginary £100m. Craig Bellamy is among the spectators at the Cardiff City Stadium tonight. There will be no goal-scoring return to the national team for Luis Suarez, he has been substituted with Hull City striker Abel Hernandez replacing him. Suarez's side are winning, though, with Uruguay beating Saudi Arabia 1-0 thanks to an own goal. How would you spend £100m lottery winnings on football? Wales are running the show now - Gareth Bale dropping into midfield and releasing Chris Gunter down the right. Bosnia's Anel Hadzic brings down the full-back in full flow and is rightly booked for his troubles. He is lucky covering defenders were tracking back. Former Wales defender Kevin Ratcliffe on BBC Radio Wales: "The way we have come out of the blocks and the way we have started closing, it is all good. Positive signs so far." Gareth Bale is getting into his stride now - making a punt down the channel look like a visionary pass as he watches the ball over his shoulder and almost diverts it past the keeper on the volley. Unfortunately for Wales, this time the audacious effort goes wide. An early one to warm the palms of Wales goalkeeper Wayne Hennessey as Miralem Pjanic tries his luck from 25 yards out. If you don't buy a ticket, you don't win the lottery. We asked how you'd spent a £100m lottery jackpot in football. Scott Wilson: I would probably put most of it in Coventry City FC to kick start the push back to the Premier League. It's a superb atmosphere at the Cardiff City Stadium - equal to anything the rugby supporters can muster in terms of noise and passion, if not numbers. In the first 10 minutes at least. Chris Gunter has been given licence to get forward down the right for Wales and the full-back whips in another quality cross which almost finds Gareth Bale at the near post before Toni Sunjic gets back to clear. Top defending, and top wing-play. Excellent from Wales as Gareth Bale clips the ball inside the right channel for Chris Gunter who in turn finds Andy King and the midfielder wins a corner. It comes to nothing, but bright play from the men in red. England goalscorer Saido Berahino on his excellent start to the season for club and country: "I just try to do my best. I had a great pre-season and I'm trying to enjoy myself and show what I'm about." On the tie: "Of course, it is still in the balance. Anything can happen over there but I'm confident we'll see it through. Concentration is the key. We have got to defend from the start to the end and not concede any more goals." There already looks to be a real determination about Wales as they chase down every ball, pressure every man and tackle anything which moves in a blue shirt. But can they do that for 90 minutes? Wales. This is our time. No more pain. No more penalty heartbreak. No more dodgy handballs. No more "nearly men". This is our time. Please. The EuroMillions jackpot is worth £100m tonight, which would get you about £15m change for Gareth Bale. Which got me thinking, how would you spend your winnings in football if you were lucky enough to see your numbers come up? National anthems time in Wales. Rousing. England goalscorer Saido Berahino: "We felt comfortable out there, even when we were 1-0 down. We came back out and knew what we had to do. At half-time we said we had to pick things up. "We did our homework on Croatia at St George's Park and tried to stop them playing. We showed that. We came out for the second half, tried to impose ourselves and it is great that we got the goals." Nick Alex Hughes: Great interview with Roy Keane. Unfortunately for him and Sir Alex their legends will always be synonymous with the other. Sir Alex Ferguson's criticism of former Manchester United team-mates is "nonsense,"
Watch the full interview with Roy Keane by Kevin Kilbane on Football Focus, BBC One at 13:40 BST tomorrow. In the build-up to this game, Bosnia-Hercegovina's Asmir Begovic has said that Gareth Bale can be as good as Lionel Messi and Cristiano Ronaldo. Bale has not scored past Begovic in five attempts and the goalkeeper hopes to stop Wales' star scoring tonight. "Messi and probably Ronaldo are two of the best players in the world right now and I think that goes without saying,"
said the 27-year-old Stoke player. "But people like Gareth Bale are working their way up." So, let's set the scene for this one. Wales won their opening game in Group B against Andorra, while Bosnia were surprisingly beaten by Cyprus. Job done for England. They take a lead into the second leg in Croatia on Tuesday. They are 90 minutes away from qualifying for next summer's European Championship in Czech Republic. Saido Berahino has an effort deflected wide. The young England striker is chewing gum out there. We weren't allowed to do that during PE in school. Instant detention. England are almost there in this match now - three minutes of stoppage time are announced. Croatia with a chance to equalise almost immediately, but Eric Dier makes a superb tackle to deny marauding full-back Antonio Milic. Former Wolves striker David Kelly on BBC WM: "Fair play to Gareth Southgate, he put two strikers up top and it has come off brilliantly." Saido Berahino steps up and confidently sidefoots into the bottom corner. The keeper Dominik Livakovic guesses right, but the penalty is dispatched with aplomb. Saido Berahino breaks through and is brought down by the onrushing keeper. Penalty! Liam Moore, who has had a good game for England, stops a Croatia attack from developing with a professional foul and is shown yellow. Almost dreamy stuff from England as Tom Carroll looks up just inside the Croatia half, sprays a Hollywood pass 50 yards and Nathan Redmond collects it before rolling a shot just past the far post. A touch of class from Carroll. Now it's Mario Pasalic into the book for dissent. Are Croatia showing their frustration late on? Domagoj Pavicic is shown yellow for diving in on Jake Forster-Caskey, and wiping out the midfielder in the process. Ten minutes to go in this Euro 2015 qualifier first leg. Former Wolves striker David Kelly on BBC WM: "That was another free header for Croatia and England need to tidy up a little bit at the back." Croatia aren't out of this yet - England switching off and allowing Domagoj Pavicic a free header which flashes past the post. Adam, Wath Upon Dearne: Harry Kane needs to move from Spurs and get some regular football. Great player. Nathan Redmond switches flanks and puts in a delightful ball from the left which Harry Kane reads and almost diverts home. England getting closer to a second. Wales: Hennessey, Gunter, Chester, Ashley Williams, Davies, Neil Taylor, King, Jonathan Williams, Ledley, Bale, Church. Subs: Fon Williams, Dave Edwards, Robson-Kanu, Cotterill, Gabbidon, Ricketts, Lawrence, Gwion Edwards, Jake Taylor, George Williams, Letheren. Bosnia-Hercegovina: Begovic, Hadzic, Sunjic, Mujdza, Besic, Lulic, Susic, Medunjanin, Ibisevic, Pjanic, Dzeko. Subs: Fejzic, Vrsajevic, Vranjes, Cimirot, Prcic, Visca, Hajrovic, Kvesic, Dujkovic. Eric Dier has been given licence to roam down the right and he puts in a good cross from deep which is cut out. However, in getting forward, the youngster leaves himself exposed and ends up being booked when he commits a foul on his way back to position. "We are less than an hour away from kick-off as Wales host Bosnia-Hercegovina in a pivotal match at a soaking Cardiff City Stadium. "With more than 10 players withdrawing from the squad through injury, Wales have been forced into two changes from their opening 2-1 win in Andorra. "Aaron Ramsey and Joe Allen are two of the most notable absentees, and replacing them in central midfield are Joe Ledley and Jonathan Williams. "Bosnia, who lost their opening qualifier at home to Cyprus, have injury concerns of their own. They bring in Mensur Mujdza and Anel Hadzic to replace Ermin Bicakcic and Avdija Vrsajevic in defence. "It is at the other end of the field where Bosnia will threaten. Their captain Edin Dzeko has scored more international goals (37) than the entire Wales squad put together (27). "Together with Vedad Ibisevic - who has 24 goals for Bosnia to his name - the Manchester City striker forms a fearsome forward line. Wales will be wary." Croatia are desperate to halt England's ever-increasing forward momentum and replace 17-year-old playmaker Ante Coric with Chelsea youngster Mario Pasalic. Former Wolves striker David Kelly on BBC WM: "Ironically, Will Hughes, who had such a good game in the first half, his replacement Tom Ince has given everyone a lift and that has contributed to the goal. The forward thinking players seem a little more comfortable with Ince. "The goal came at a very good time, so early in the second half and England are pressing the ball very high up the pitch now." That equaliser was coming as Croatia dropped deeper and deeper. The young Lions almost get another when Nathan Redmond cuts inside and fires in a powerful shot from 30 yards which is gathered at the second attempt by Dominik Livakovic. England are level, and it's that man Harry Kane who does the business... the Spurs man nipping in front of his marker to divert Saido Berahino's cross home. England shake things up... Tom Ince replacing Will Hughes. Will Hughes, with his eye-catching blond hair in the middle of the park, tries to get England moving with a driving run from midfield but he can't quite break through. Still, he looks intent on imposing himself on the game. Michael, Manchester: Luke Shaw may have been at fault for the goal but he looks like our most creative player. Croatia's Dario Zuparic is the first player into the book for a foul on Harry Kane. The resulting free-kick is chipped into the box and met by Kane, whose header goes wide. Pretty passing inside their own half from England, then they suddenly decide to lump it forward to Harry Kane. The striker hustles and bustles and the ball breaks for Saido Berhaino who tees up Jake Forster-Caskey but the Brighton midfielder smashes over the bar. Former Wolves striker David Kelly on BBC WM: "I don't think it was a tactical substitution and I think Gareth Southgate will be disappointed to have to make a defensive change with England needing to attack." We're back under way for the second half, with England sending on Tottenham's Eric Dier for Michael Keane. suffering a head injury against Arsenal. The goalkeeper collided with Alexis Sanchez, but played on for 14 minutes before going to hospital for checks. Despite their injury crisis, Wales are in bullish mood... particularly because Gareth Bale is in the ranks. He's the man the opposition genuinely fear. "Psychologically, it's a big boost for us when he's walking out on that pitch,"
said Wales manager Chris Coleman. "He's one of the best players in the world and he can create a goal or score a goal out of nothing." Aaron Ramsey (hamstring), Joe Allen (knee), David Vaughan (hamstring), Emyr Huws (ankle), James Collins (groin), Lee Evans (hamstring), Sam Vokes (knee), Andrew Crofts (knee), Adam Matthews (groin), Paul Dummett (hamstring). Here's a half-time story for you to get your teeth into. Luis Suarez is making his first appearance for Uruguay this evening since receiving a ban for biting Italy's Giorgio Chiellini at the World Cup. The 27-year-old Barcelona forward has been named in the starting XI for the friendly in Saudi Arabia. Suarez was initially banned for four months and nine international matches, but that was changed to competitive internationals on appeal. Former Wolves striker David Kelly on BBC WM: "Will Hughes looks like he is hobbling into the dressing room so he may be a half-time substitution. "Another tweak could be Saido Berahino. He has had a good season so far playing centrally, so I wouldn't be surprised if Gareth Southgate decided to go with two up front in the second half." One set of 45 down, three to go and, as it stands, it's Croatia who will be playing at next summer's European Championship in Czech Republic. Matt Barron: Dave Hemming (18:06) proving why England will never do well at international level - never allowed to make mistakes! Former Wolves striker David Kelly on BBC WM: "I think Gareth Southgate will make a couple for tweaks for the second half but I also think he will be pleased with the response from his side after going behind." England continue to press - Tom Carroll playing in Harry Kane who turns on a sixpence and has a shot deflected over the bar. From the resulting corner, Michael Keane heads over. I wish I had Ante Coric's footballing ability when I was 17. The Croatian playmaker is an absolute gem - bending a first-time shot from 25 yards which is tipped over by Jack Butland. Benjamin Watts: Saido Berahino banging goals in for fun at WBA this season. Goalscorers at EPL & international level = priceless. Croatia might be sitting back, but they possess real quality when they do get the ball in the final third - a clever ball sliding in Ante Coric, but the 17-year-old's effort curls just wide. England are beginning to turn the screw now and Will Hughes checks inside before hitting a shot from the edge of the area which is superbly blocked by Domagoj Pavicic. From the resulting corner, a hanging ball is attacked by Leicester's Liam Moore but the strapping defender's effort fails to hit the target. Good intentions though. Nathan Redmond on his right foot... boom, but the winger's stinging shot is tipped over. Former Wolves striker David Kelly on BBC WM: "England are looking more comfortable on the ball now and making forward runs now, Will Hughes in particular is getting forward." It's a wall of blue shirts the minute England, in their all-white strip, cross the halfway line. The young Lions are having to pass their way through the well-organised visitors. Luke Shaw appears their best chance of success. ThinGreenZombie: Jamaal Lascelles. Solid as a rock. Why we loaned him out I'll never know. If he was at fault for the goal, Dave (see tweet below), Luke Shaw is doing his best to put it right - the Manchester United man playing a neat one-two with Will Hughes adjacent to the penalty area, before driving into the box and rasping a shot against the inside of the post. Dave Hemming: Luke Shaw at fault for Croatia goal. Thanks for dropping down to U21 to help out. After announcing the new proposals (18:04), Football Association chairman Greg Dyke has admitted the grassroots game in England "is in crisis". Dyke, 67, told the BBC he wanted to invest £250m in new training facilities and improve English coaching standards. However, his plan to add Premier League B teams into the Football League is in doubt after a report said the reaction from clubs was "not favourable". "If you go to Germany or Holland we are miles behind in terms of facilities and the number of coaches," said Dyke. "It is clear we have a real problem with pitches. Local authorities' budgets are being squeezed and most of the pitches are owned by them." Luke Shaw is beginning to get forward down the left for England and he delivers a good cross which Niko Datkovic heads clear. Decent delivery, but a lack of bodies in the box. Greg Dyke's FA England commission has also proposed an improvement in coaching. It suggests that "all the FA's education work, from coach education through to referee development and safeguarding, needs to be brought together in a single department". And it has set a target of more than tripling the number of Youth Award Level 3 coaches (from 800 to 3,000) and Advanced Youth Award holders (from 200 to 750). Dyke will be on BBC Radio 5 live tonight from 20:00 to 21:00 BST tonight discussing the proposals. Football Association chairman Greg Dyke has revealed the second England commission report, with special focus on grassroots football in a bid to produce more English talent. Leading the way will be a pilot scheme in Sheffield, followed by Birmingham and Liverpool. Harry Kane is fouled 28 yards from goal, and steps up to take the free-kick himself - but it comes to nothing as he balloons a poor effort over the bar. That was all too easy for Croatia, who look composed on the ball and, without truly dominating possession, appear to have England's number. So far, at least. Croatia stun England by taking the lead - a corner coming in from the left and it is flicked on by Niko Datkovic towards the back stick where Marko Livaja is on hand to nod home unmarked from six yards out. TrinderRam: Will Hughes - watch this space, in four years outstanding. Nice from England, with Will Hughes playing a cute pass into the box for Saido Berahino but the West Brom striker screws his effort wide. Jack: Will Hughes, the best centre midfielder in the Championship, will be 23 and without a doubt playing in the Premier League and for England. Nathan Redmond gets the crowd off their feet with a run down the right before cutting inside and finding Tom Carroll, whose chip towards lone frontman Harry Kane is read by the Croatia goalkeeper and the danger passes. Paul Moran: re: 1732 Kennedy Bakircioglu is still banging them in for Hammarby. A good interception at centre-half by Middlesbrough's Ben Gibson, who is the nephew of Boro chairman Steve. I like that bit of trivia, hence the random entry on a defensive tackle. It's Croatia who have started on the front foot - pushing their full-backs on and passing the ball about almost at will. England are yet to settle into their formation which appears to have Harry Kane supported by Saido Berahino and Nathan Redmond up front. We're under way then, as the late evening sun begins to set in Wolverhampton. Time to lay down a marker for Tuesday's second leg in Croatia. Time for the national anthems at Molineux, where there's a sizeable crowd in attendance to cheer on the home side. There's a few in who are supporting the visitors too, I should add. Gareth Southgate is without a number of eligible players for tonight's game because they are involved with the senior England squad. Calum Chambers, Raheem Sterling and Jonjo Shelvey were involved in Roy Hodgson's squad which beat San Marino last night, but former U21s manager Stuart Pearce said earlier this week it would be better for their development if they played for the younger side in these crunch matches. What do you think? Is Psycho right? Since the break up of Yugoslavia in the early 90s, there have only been two major tournaments which the senior Croatian national team have failed to qualify for. For a country of less than five million people, they certainly know how to produce world-class footballers. Davor Suker, Zvonimir Boban and Luka Modric spring to mind. Bosko Balaban doesn't. manager Gareth Southgate adding: "There won't be a problem in terms of our mentality. "This is a step up from the group but it is a step they can make. It is a game they have the ability to win." England Under-21s boss Gareth Southgate, speaking to BT Sport: "It is a better quality of opposition and is the sort of test we want these players to have. "It is difficult to say what we hope for in terms of scoreline, a clean sheet would be a bonus because away goals are important but the key for me is the performance. If we work as hard off the ball as on it we will certainly create chances and cause problems." writing: "Guys please stop asking if I have ebola. I do not have it. But I thank you for caring about my health and wellbeing :-) Dele." So, which of these players on show tonight will be winning European Championships, Champions Leagues and securing big-money moves in the next four years? In fact, let's case our net wider... who will be the first name on the team-sheet should we put together a World XI in 2018-2020? Those who play football management games will have a head start on this, although it never quite worked out for Freddy Adu, Cherno Samba and Tonton Zola Moukolo, did it? Manchester United full-back Luke Shaw and West Brom striker Saido Berahino start for England against Croatia. As expected, Carl Jenkinson misses out as he struggles with a hamstring problem. England U21: Butland, Keane, Moore, Gibson, Shaw, Hughes, Forster-Caskey, Carroll, Redmond, Berahino, Kane. Subs: Bond, Garbutt, Dier, Lascelles, Baker, Ince, Bamford. Croatia U21: Livakovic, Zuparic, Datkovic, Mitrovic, Milic, Coric, Bradaric, Pavicic, Pjaca, Rebic, Livaja. Subs: Delac, Perica, Pasalic, Milos, Caktas, Brucic, Bagaric. But first let's give our full attention to the England Under-21s. Gareth Southgate's young 'uns are good, you know. They sailed through their initial qualifying group by winning nine out of 10 games, scoring 31 times and conceding two. Now they face a straight shootout with Croatia, who also topped their group, for a place at next summer's finals. But that's not all we've got coming your way tonight, folks. Nope. We'll also be bringing you every kick, tackle and Gareth Bale wonder-goal (possibly!) when Wales host Bosnia-Hercegovina in big boys' football. The prize at stake there? Three points in the race to qualify for Euro 2016. That match kicks off at 19:45 BST. Standing in England's way are Croatia and, at the risk of sounding like an X-Factor voiceover, only one of them will be at the Euro U21 finals in Czech Republic next summer. This two-legged play-off has a significant carrot at the end of it. David De Gea, Javi Martinez, Juan Mata, Ander Herrera, Thiago Alcantara, Cesar Azpilicueta, Koke, Isco... the list is endless. But why am I randomly typing the names of young Spanish footballers. Simples: they have all lifted the European Under-21 Championship in the last four years before going on to bigger and better things... be it full honours with the senior side, Champions League glories or big-money moves around the Continent. Those honours and future riches could one day await some of England's young footballers. But first they need to qualify.